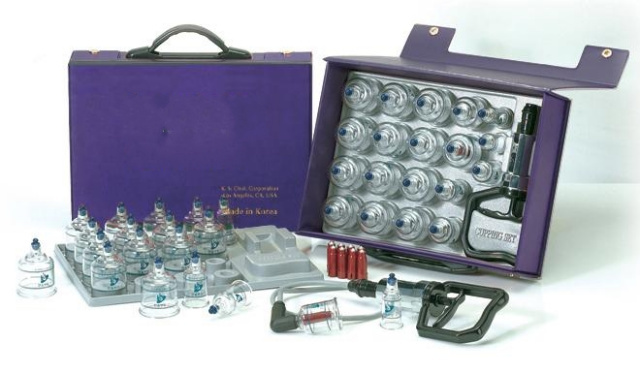 A Cupping therapy set is the major part of the products known as cupping therapy supplies. 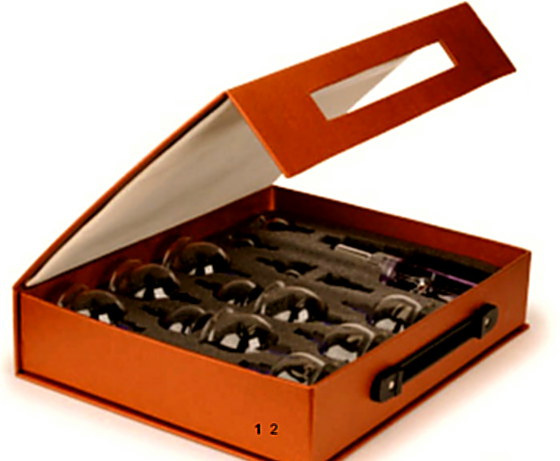 A cupping set containss small cups made of either glass or plastic and is used to create localized pressure by a vacuum. The Chinese have been doing this since ancient times by using heat inside glass or bamboo cups. 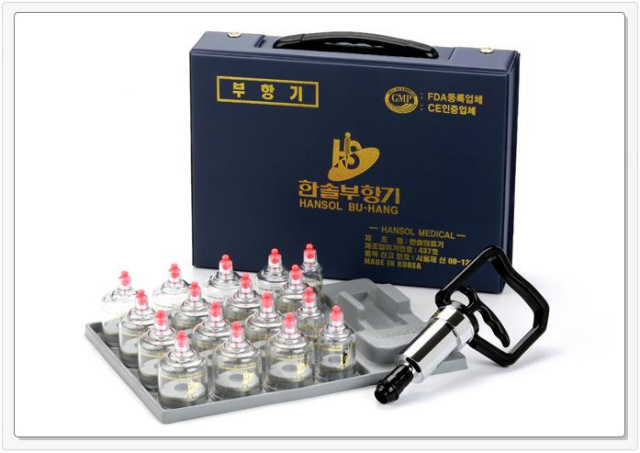 Nowadays, cupping sets use suction to create the vacuum. The vacuum inside the cups causes the blood to form in the area and help the healing in that area. Ancient Chinese medicine has believed that the body contains specific energy channels or "Meridians". These meridians are pathways in the body which the energy of life called Qi ("chi") flows through. It flows through every body part, tissue, and organ. Cupping therapy is mainly performed on one's back because there are five meridians on your back. When these meridians are opened, the internal energy is able to flow through the whole body. Another healing aspect of cupping therapy is through the release of toxins in your body. The suction from the cupping set can penetrate deep into your tissues causing the tissues to release harmful toxins. It triggers the lymphatic system, clears the blood vessels, and stretches and activates the skin. Cupping equipment supplies have been mentioned in ancient records dating back 3500 years and it is still used today by many alternative medicine practictioners. 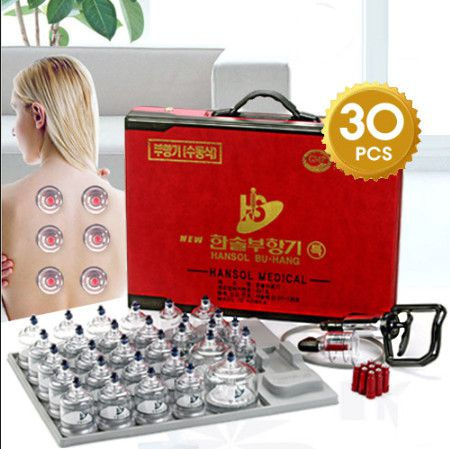 New advancements in technology and materials have been integrated into modern cupping therapy epuipment one of the best is the cupping set glass which has improved cupping therapies and today its uses now include many different treatments and applications. If you are an acupuncturist and you are looking to integrate cupping into your practice you will want to acquire a number of different cupping set types as each patient will have a different need.